Why are we so fascinated with ballads that can turn us into a puddle of mush with only a few notes? Maybe it has something to do with wanting to connect to music on such a deep emotional level and be able to relate to the artist in an extremely personal way. 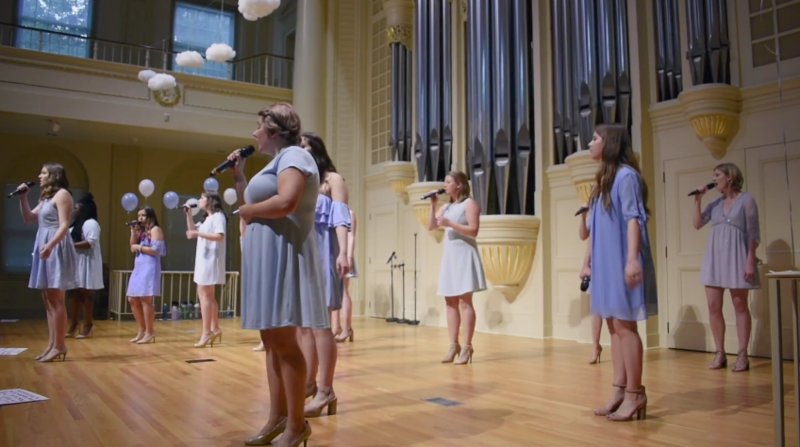 Whatever the reason may be, it's drawing us to this performance by the Shirley Tempos of Elon University. In the group's newly released video, they provide listeners with an endearing rendition of Jarryd James' "1000x." The opening lead is enough to elicit strong feelings through her calming voice, but when the group adds harmonies, we suddenly become blown away. It's truly a performance that will make you stop and reflect on past loves and all the feelings that come along with it. Enjoy this #WCW that just may bring a tear to your eye.